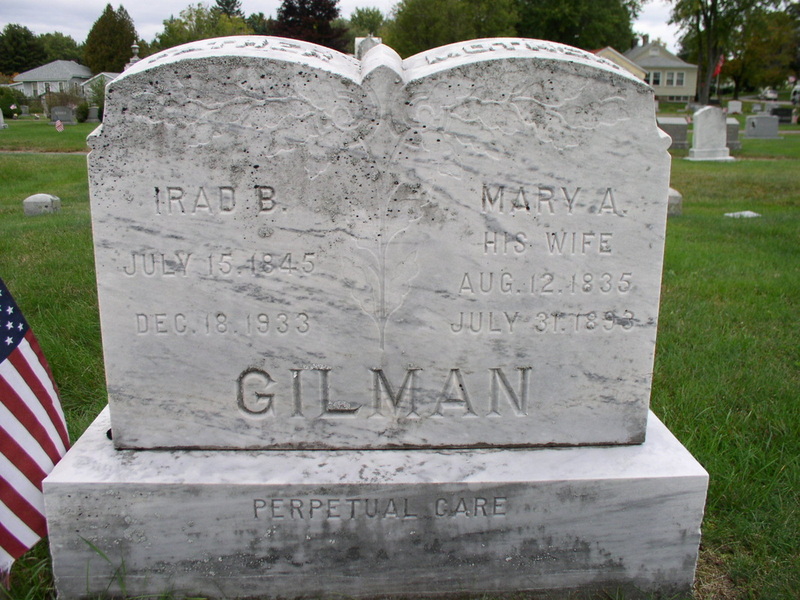 The last local Civil War survivor, Irad B Gilman, 89, died at his home on School Street. He was born in Alton and had always lived here, spending his life as a farmer in the mill section near town. During the war between the states, Mr Gilman enlisted in the 18th New Hampshire regiment, and served until the close of hostilities. His survivors include a daughter, Mrs Sadie Crafts of St Johnsbury, Vt; two brothers, John of Rochester and Warren of Farmington; and a sister, Ella Gilman of this town. Charles H. Estes, 91 years of age, passed away at the Huggins, Hospital in Wolfeboro on the 17th, as a result of a broken hip. He was born in Lebanon, Me., and had been a resident of Rochester for a number of years; he also resided in Farmington and Alton. He served in the third New Hampshire regiment, and at the time of the assassination of Lincoln, him and some comrades help to carry the President out of the theatre across the road to a house where he died. In 1932 he was a state commander for the G.A.R. The funeral service was held in Alton and was conducted by the Rev. E.J. Abar, pastor of the Baptist church. The American Legion and Sons of Veterans attended in body, and the legion performed a full military service. The burial was in the family lot in the Alton cemetery.